over the last 2 years i have started developing a strong interest in civilian aircraft models (maybe due to lack of in my collection). 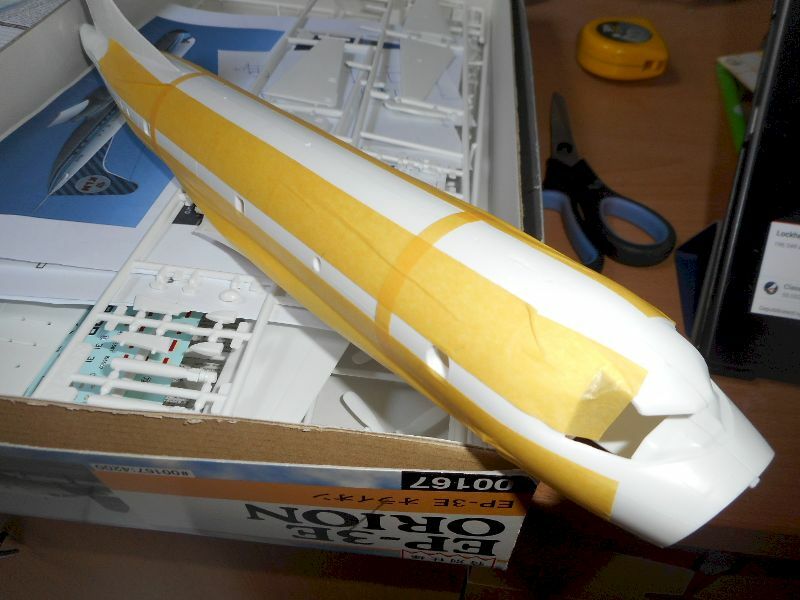 when my wife encouraged me to buy a 1/72 Hasegawa EP-3E orion a couple of weeks ago, i had no idea what to do with it. 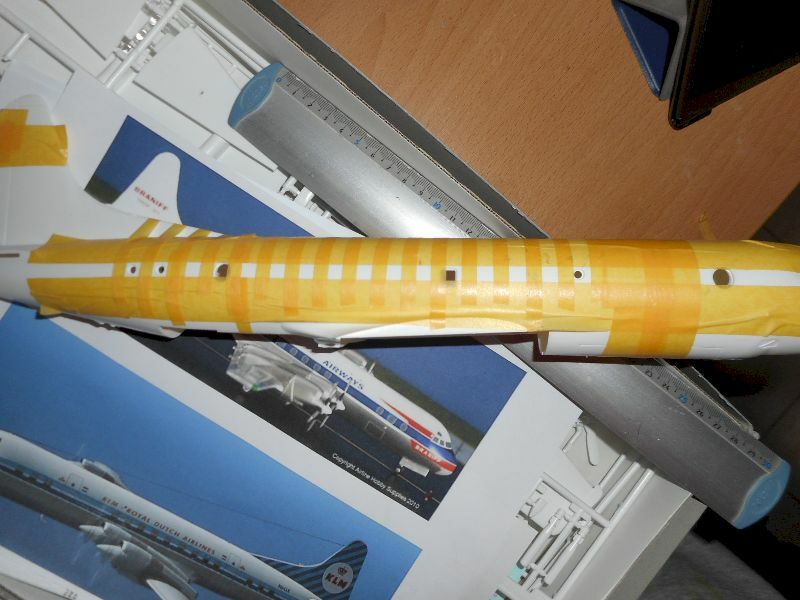 then i got the idea of converting it into a civilian airliner version. as it is derived from a civil aircraft, why not reconvert it. i have spent the last few days finding as much information as possible on the original Electra (number of seats, window & cargodoor dimensions,...), took me a while but ive finally got all the info i need to start building. 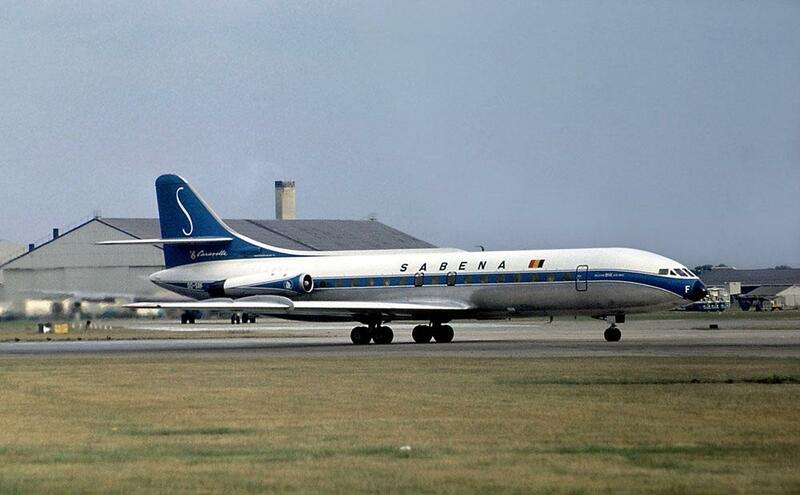 as for a color scheme, i was first looking at some spare Lufthansa decals, but they appeared to modern and i wanted to pull of the classic 50's/60's airliner look, so i decided to make my own airliner decals for "Trans Belgian Airways". color scheme i have in mind is overall white with the mid bottom in natural metal with red trim along the windows and a red tail. marking off, drilling and sanding of the first windows is exptected to start this weekend. Re: 1/72 Lockheed L188-75 "Baby Electra"
Looking forward to this, the Electra is a neat aircraft. I do not envy the window drilling! Good luck! starting with the most time consuming work, taping off and drilling all the holes where the windows are gonna be (white spaces). after these pics were taken, the holes have been drilled in and the first 4 windows were filed out, loads more to go. What makes it baby ? you gonna shrink it ? Or just that it's an early model ? because the Orion is about 7ft shorter then the standard Electra. 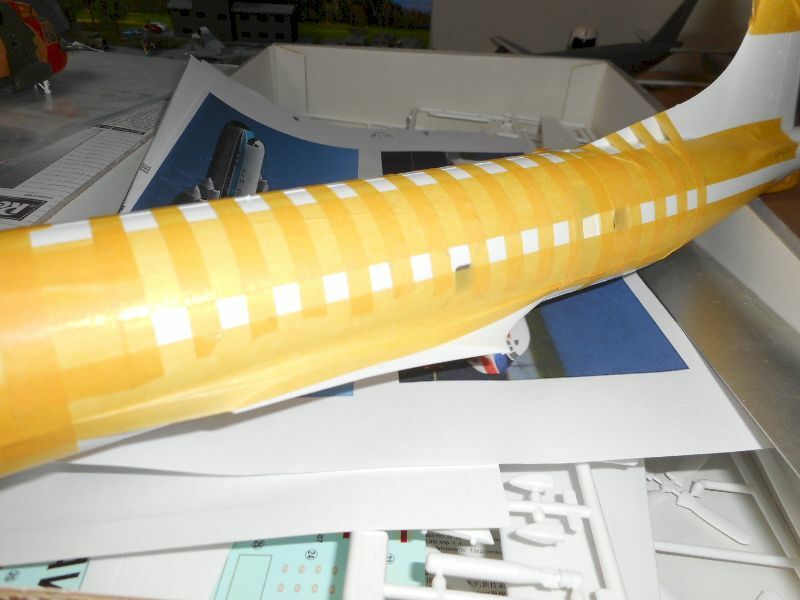 and to save time i decided to not put in a 3cm plug, making it a small airliner to operate from smaller, shorter airfields. 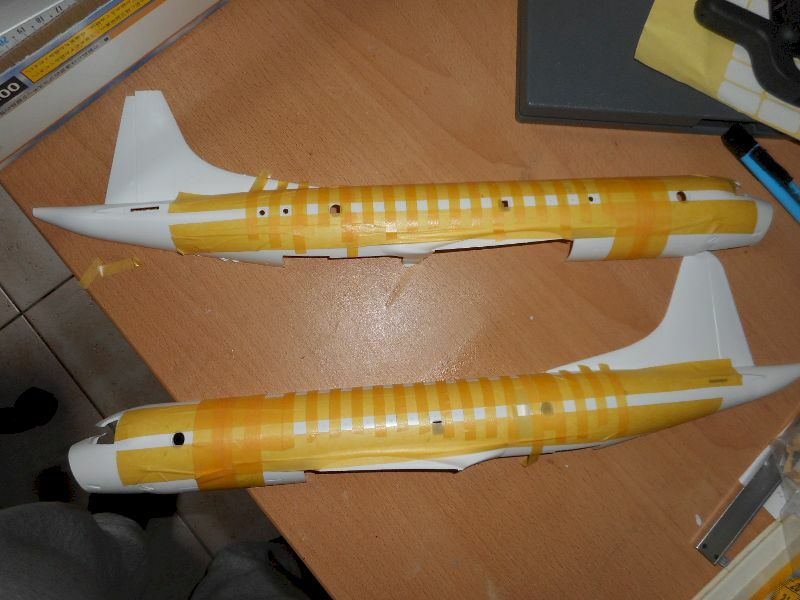 Re: 1/72 Lockheed L-188-75 "Junior Electra"
After 3 days of filing, the windows are all there, although there are still some rough parts to be sanded out. i also decided to make some changes on the project. first off, i changed the name from baby Electra, to Junior Electra. more in-progress pics to follow later. Oh yes, SABENA's schemes were always SO stylish. just need to make some refinements before printing them out. 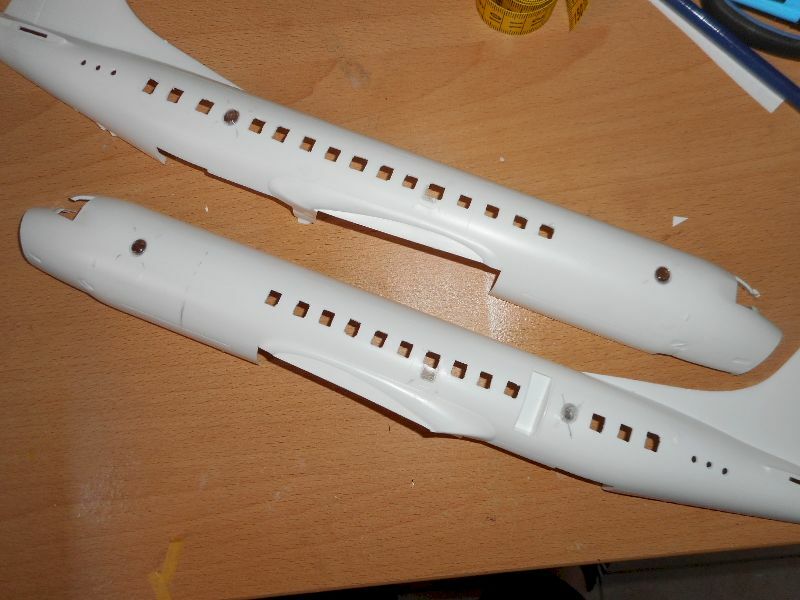 Windows are cut, once the wing assembly is done, the fuselage halves and the wings will be sprayed in a coat of primer.